Sometimes it works to stick with tradition, but sometimes its more fun to break the rules! 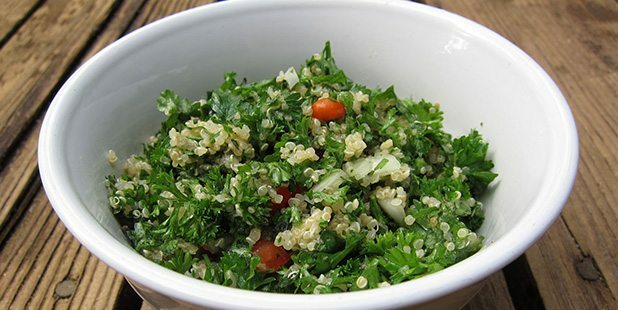 This easy vegan recipe was inspired when I wanted to make tabouli for lunch, but didn’t have any cracked wheat. I improvised and used quinoa, and also decided to add a few other ingredients that you won’t find in traditional tabouli. My experimentation was a success! 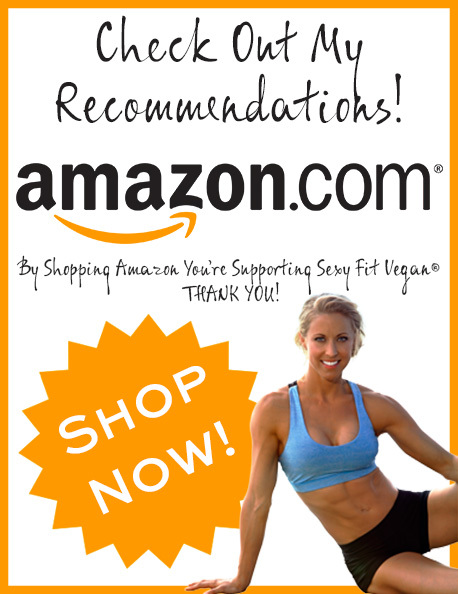 Eating a vegan diet is not a rigid science, rather there are so many foods that can be added and/or substituted to get what you want out of your meals. This dish is packed with plant-based protein and many other essential nutrients found in raw parsley, kale, spinach and mint. This vegan dish is also gluten free because I used quinoa instead of cracked wheat. Tabouli On Fleek can be made ahead of time for a quick lunch on-the-go, or paired with falafel and hummus to make a delicious Mediterranean Buddha bowl! You can check out Minimalist Baker for the collard greens falafel recipe that I used to go with my tabouli, and I also whipped up some roasted red pepper hummus. Go on wit yo bad self and break some (recipe) rules! Add all of the ingredients to a bowl and mix together! Danielle is committed to showing people that vegan food can be prepared easily, can fit into many types of lifestyles and is delicious! That is exactly why Danielle created the insta account, veganyummytummy in October 2015. Danielle first learned about where our food comes from, the importance of choosing organic, and of course, about why eating a vegan diet is most responsible for our bodies, the people around us and our environment in an undergrad anthropology course. Since then, Danielle has been creating vegan recipes and experimenting with new foods and has also been re-creating non-vegan (old) favorites to vegan! Danielle has earned her Masters Degree in Social Work, but is currently lucky enough to be home with her two kids! Danielle enjoys spending time with her family, practicing yoga, bike riding, hiking, juicing and cooking!